Read recent news about our community members and artists. A quick reference page for local parks, restaurants, ATMs, a map of the Bronx with tourist destinations, and other useful information. 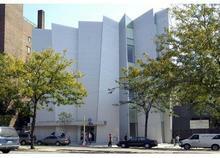 Check out events being hosted at The Bronx Museum of the Arts! The Community Advisory Council (CAC) is a volunteer group of local residents working collaboratively with The Bronx Museum of the Arts on programming and acting as Cultural Ambassadors to the community. The CAC was created in late 2011 as part of the Museum’s 40th Anniversary initiatives, with the explicit goal of raising awareness of the Museum and organizing programming in response community needs. 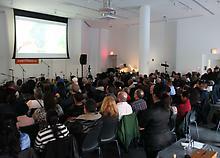 The Bronx Museum of the Arts is a proud member of the Bronx Arts Alliance. 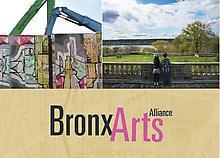 The Bronx Arts Alliance (BxAA) is a collective of arts and cultural institutions and organizations. 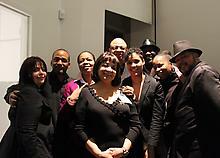 Our mission is to build, support and promote the works of artists and arts organizations throughout the Bronx. BxAA is also focused on actively engaging neighboring communities through the arts. 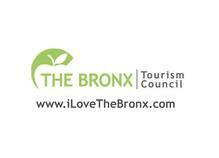 Established in 1991, The Bronx Tourism Council is a division of the Bronx Overall Economic Development Corporation (BOEDC), creating a cohesive and symbiotic relationship between arts and culture and economic development. 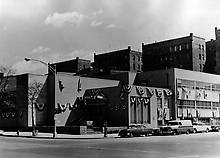 The role of the Bronx Tourism Council is to promote the borough's rich history, its institutions, and cultural diversity on a local, national, and international level. The group recently released its first Bronx Visitors Guide, a 44 page booklet of just what to do in the borough and where to stay. You can view it here. 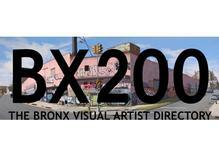 The Bronx 200 site is a dynamic, online platform that showcases a curated selection of artwork by two hundred artists identified with The Bronx. The primary goal of The BX200 website is to connect the borough’s artists and art organizations to curators, collectors, art enthusiasts, businesses and other artists worldwide. On April 19, 1965, Mayor Robert F. Wagner signed the Landmarks Law of New York City, and the era of historic preservation began. Since then, almost 1,400 individual landmarks, 115 interior landmarks, 10 scenic landmarks, 109 historic districts, and 10 historic district extensions located throughout all five boroughs have been designated. The NYC Landmarks50 Alliance is comprised of individuals and organizations committed to informing and educating the public about historic preservation in New York City. 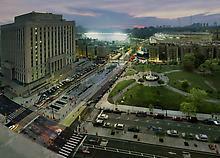 The Bronx Museum of the Arts is proud to be located within a historic district. Are you a New Yorker? Do you want a free membership at The Bronx Museum of the Arts? 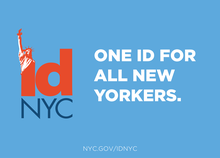 IDNYC is the new, free identification card for all New York City residents age 14 and older. In addition to serving as a government-issued ID card, if you bring it to our Front Desk before the end of 2018, it will give you a FREE one-year membership at the Bronx Museum.